Nowadays, it is well known that every business needs a website to be successful. It’s almost impossible for a brand to become successful without a website anymore. Everyone uses the internet, everyone is connected all the time. After registering and licensing your business, it is time to start creating the website. Building your website can be a daunting task. This is why I’ve put together a list of important basic steps you shouldn’t skip when setting up your website. Some of the steps may seem like common sense, though still, entrepreneurs manage to overlook them because of all the chaos and excitement of starting a business. 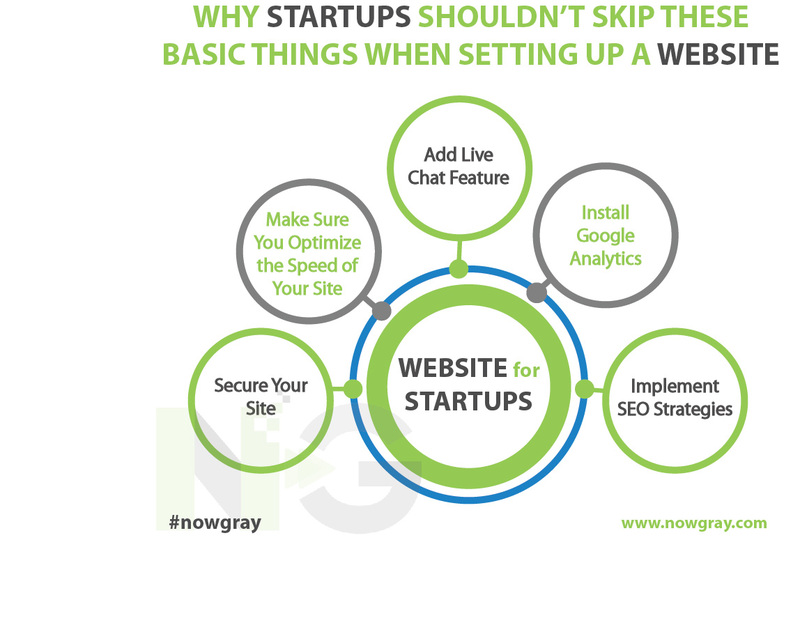 Pay attention to the following steps, which you can’t afford to skip when building a website. You are leaving your website open to hackers if you don’t protect and update your website. This is something very important to prevent. To make sure you protect your site, you should use complex and lengthy usernames and passwords. Keep updating your CMS and plugins and consider an external security monitoring software tool. Also, make sure to choose a secure hosting platform. If your site handles transactions, it is even more important to make sure your site is secure. Customers have to feel safe submitting their personal information on your website. In order to guarantee your customers visit a secure website, make sure to acquire an SSL certificate. You can get this from your hosting provider or get one at Comodo, for example. It keeps the sensitive data of your customers safe and by showing the certificate on your site, you have an excellent trust signal. Also, client testimonials are an excellent trust signal. Users can view comments from your previous clients, this reassures them that you run a legitimate and trustworthy business. Nowadays, users have no patience for websites with poor load speed or inadequate performance. A slow website will deter users and force them to head over to your competitors instead. There are many ways to speed up your site. I’ll describe a few important ways to improve the speed of your site. One of the best ways to speed up your site is by hosting your media files on a CDN. It can save up to 60% bandwidth and halve the number of requests your website makes. Also, compressing images and optimize files makes a big difference in the speed of your website. Images currently take up to 60% of the average bytes loaded per page, around 1504KB. They take up quite a large amount of HTTP requests sent. Which makes your site slow. So, remove any images of assets you believe you don’t need. Also, run the images that you use through an optimization software and keep them below 150KB. Besides that, you should decrease the HTTP requests. A HTTP request happens whenever a browser asks for something from your server. That can be an image or a script, etc. Basically, everything your site is made up of. The more HTTP requests you need to load, the longer it takes for the page to retrieve them all, increasing your web page load time. Another way to help optimizing the speed of your website is by deleting plugins you don’t need. If you have the ambition of growing the number of visitors on your website every year, you need Google Analytics. With Google Analytics, you can analyze how your visitors are interacting with your website. You can see how many people are visiting your website, how long they are on your website, which page they visit the most, etc. All this data can help you understand what visitors want and which pages require improvement. Of course, Google analytics can’t give you all the information you need to improve your website, but it is a very good place to start. According to the most recent Zendesk Customer Service Benchmark report, live chat provides a customer satisfaction rate of 92%, outperforming all other channels. It seems most of the customers like to have a chat. Don’t risk losing customers to competitor websites, make sure you add a live chat to your website. People often have questions, so if you have a live chat you can help them directly so they won’t look for their answer somewhere else. According to Smart Insights, 2017, Google gets over 4 billion searches a month. In today’s market, it is an absolute necessity to have a website optimised for popular search engines like Google. Ignoring SEO will result in losing visitors that could have converted into potential customers. Using keywords, keeping a strong collection of back-links and commonly searched phrases in your content as well as adding and keeping your links active will help you keep your site search-friendly. You can download a plugin such as Yoast SEO to help you with your search engine optimization and with a bit of work, you will get brand new visitors in no time.